Examination Passed. Fit For Service. 1914-1915 Star: British War Medal, Victory Medal. Admitted To Hospital (Trentham Camp) 30/7/1915; Sore Throat, Discharged 2/8/1915; Wounded in action in the field 16/9/1916; Admitted To No 6 General Hospital, Rouen France 18/9/16; Died of multiple wounds 21/9/1916. 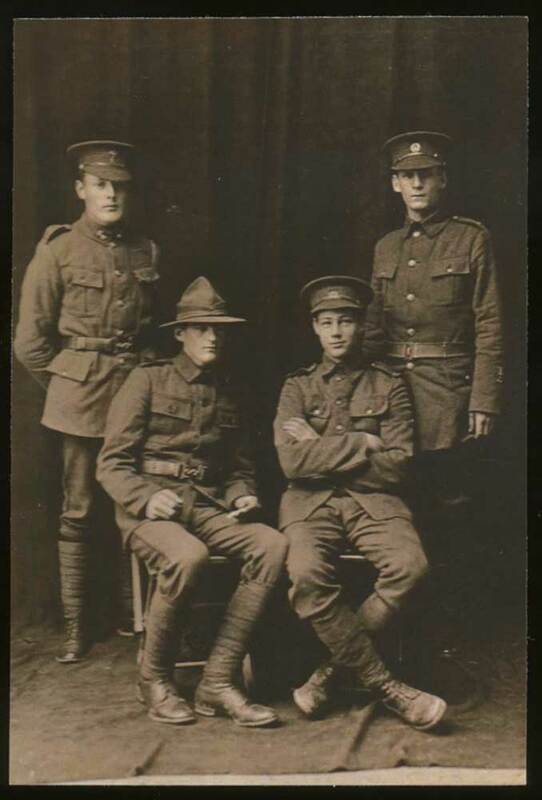 Third son of Patrick & Elizabeth (McAULIFFE) O'SHEA, of Timaru. 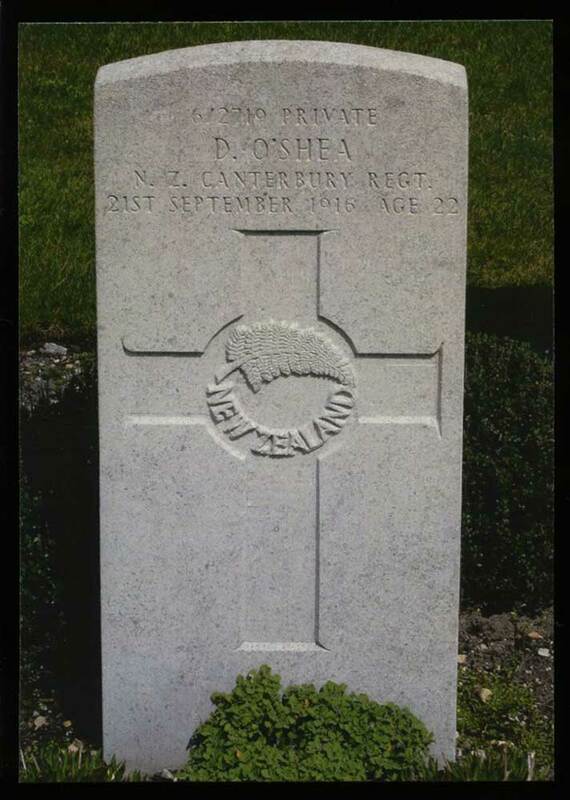 Brother of Cornelius O'SHEA, also killed in action in 1917.